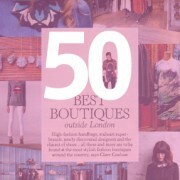 STELLA, the fashion supplement for The Sunday Telegraph has just announced their 50 Best Boutiques Outside London listing for 2013. And in case you haven’t see it, we’re pleased to announce that DOYLES were included! As the ONLY Midlands and Bucks based boutique to make the grade, it really places us as THE ‘go to’ place for the best brands and service from any boutique in the area. Make sure your shoes are giving the right finishing touch this season! http://www.doylesfashion.com/wp-content/uploads/2014/06/SS14-Shoe-Cover.jpg 287 295 Doyles http://doylesfashion.com/wp-content/uploads/2014/05/logo.png Doyles2014-05-01 17:29:562017-10-05 10:52:30Shoe-Be-Do!